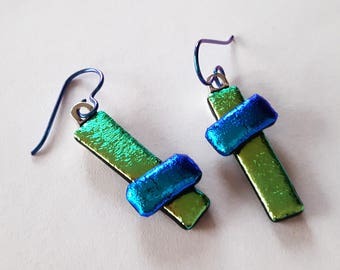 These modern asymmetrical earrings are handmade from fused dichroic glass. A longer rectangle of turquoise blue supports a smaller crosspiece of a silver color. One earring is up and the other is down. They dangle from Argentium sterling silver ear wires. I have also added an option for interchangeable sterling silver leverbacks or niobium ear wires that have been anodized to a deep blue. 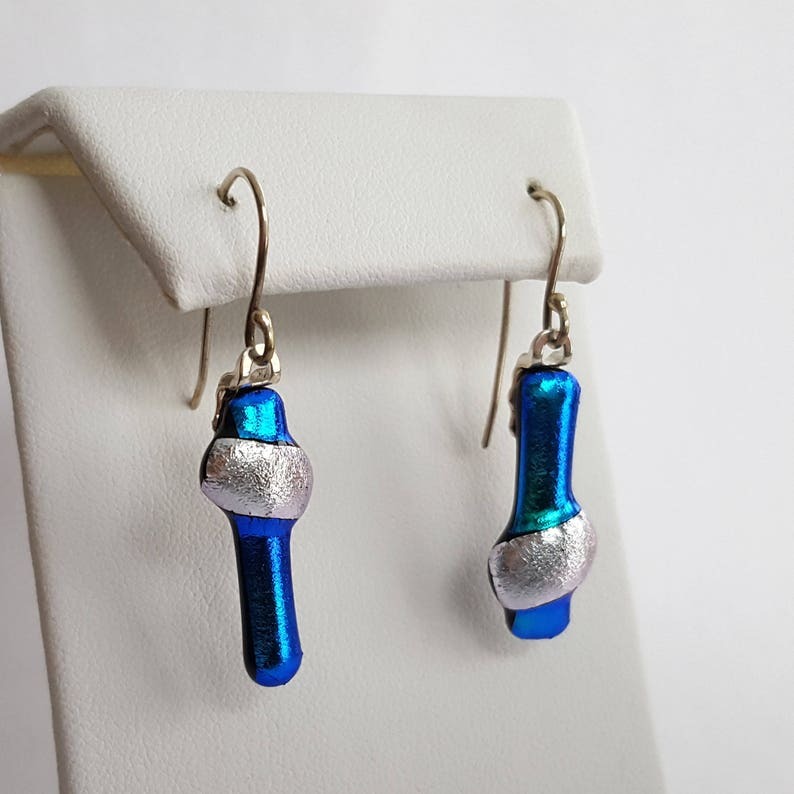 The model is shown wearing interchangeable leverbacks with a similar pair of earrings, and the last picture shows the blue niobium earwires with a similar pair. I make the glass myself, fusing it in my kiln at high temperatures. It is cooled slowly to give it maximum strength. 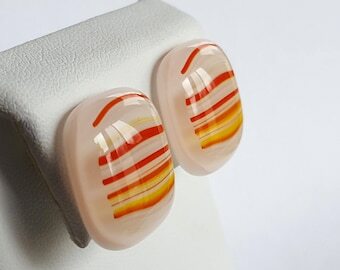 These earrings are slightly more fragile than some of the others because they are single layers of glass laid crosswise rather than a solid double thickness. 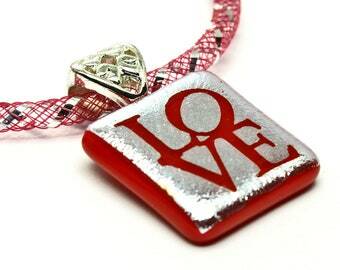 The "di" in dichroic means two because it will show different colors depending on the angle of the light. From the front the blue looks turquoise, but from the side it looks more indigo. One of the pictures with the earrings stacked attempts to show this. For more information on the materials and processes I use, please visit the Policies section of my shop.